CHAMPAIGN, Ill., 8/20/18: Drier weather this month has caused declining soil moisture, especially in central Illinois, according to Jennie Atkins, Water and Atmospheric Resources Monitoring (WARM) Program manager at the Illinois State Water Survey, University of Illinois. Illinois has received 1.28 inches of rain so far in August, 0.63 inches below the long-term average. Lower than normal rainfall occurred in most of the state, causing drier soils. Overall soil moisture levels have decreased 11 percent at depths of 2 inches. 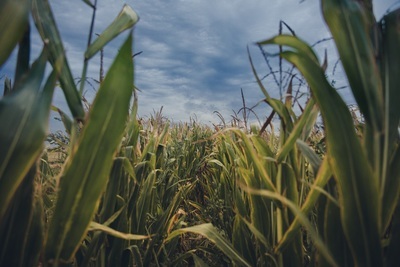 The largest declines were in the central region where moisture levels were down in mid-August by 30 percent in the east and 35 percent in the west from the beginning of the month. The north, however, saw a 17 percent increase of soil moisture. Soils at 4 and 8 inches followed similar patterns with overall declines for the state of 11 and 3 percent, respectively. Moisture levels remained high at the deeper depths with August 15 averages of 0.43 and 0.40 water fraction by volume (wfv). Levels remained steady at the 39 inch depths but declined 4 percent during August at 59 inches. Soil temperatures have been higher than normal in August. At 4 inches under bare soil, temperatures averaged 80.4 degrees in the first half of the month, 4 degrees higher than the long-term average. Highs reached into the 90s with lows in the 60s and 70s. Soils at 4 inches under sod were slightly lower with an average of 78.4 degrees, 1 degree below normal.